Introducing the economical and cost-effective ecig SINUOUS V80. Being compact and portable, the SINUOUS V80 with semitransparent body is sleekly designed and crafted. Powered by single 18650 cell, it reaches a mighty 80W output along with a sequence of other unique features including centered 510 connector, 2A quick charge and 0.91inch OLED screen. 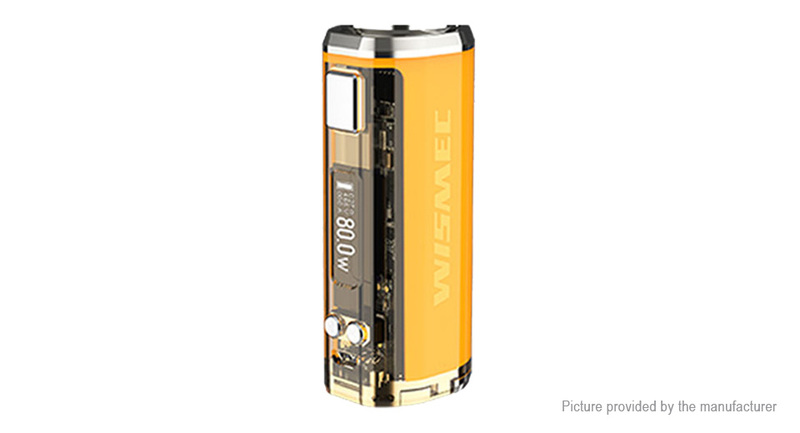 Simple, efficient and affordable, it&apos;s the WISMEC SINUOUS V80. Compact, portable yet economical: the SINUOUS V80 is made of transparent PC material, which is compact in size and convenient to carry. The overall setup is super light yet much economical, offering you maximum visibility. Single 18650 cell with 80W max output: powered by single 18650 cell, the max output of SINUOUS V80 can reach 80W, providing you with large vapor cloud. Centered 510 spring loaded connector: the innovative design of centered 510 connector is a big plus to the SINUOUS V80. It can handle various tanks up to 26mm diameter without overhang. Multiple protections applied for safer vaping: powered by Avatar chip, multiple circuit protection systems are applied, realizing the overall protection of the device, which make it much securer and more reliable. Attractive colors, enrich your vaping life: available in multiple colors, the SINUOUS V80 makes your daily vaping much colorful and enjoyable. Upgradeable firmware: SINUOUS V80 comes with the upgradeable firmware. The upgradeable firmware will make your device always up to date and stand out from other ecigs. Charging: it&apos;s better to take out the cells and charge them through external charger. You can also charge the device by connecting it with a computer or a wall adapter via USB cable.